The school has appointed bus operator Tong Tar Transport Service to provide transportation for Chatsworth families. Tong Tar has been in the bus service industry for over 40 years, providing transport to all sectors in Singapore, including a number of local and international schools. 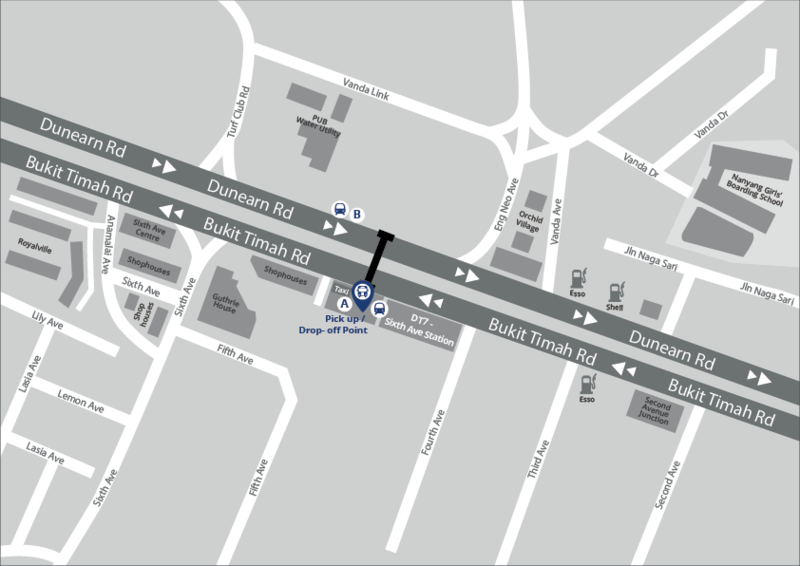 Chatsworth provides shuttle bus service before and after school hours to provide pick-up and drop off from nearby Sixth Avenue MRT station (Downtown Line DT7). The shuttle bus service is only available from Monday through Friday on school days. The shuttle bus operates from 7.05am to 8.35am and 3.35pm to 6.10pm (with effect from 8 April 2019). Chatsworth shuttle buses are clearly identified with Chatsworth signage displayed in the bus window.